Perfect time for this to happen. With his official first single out now, with a dope animated video to boot, it&apos;s high time Trippy Turtle hits the road and gets his travel on. 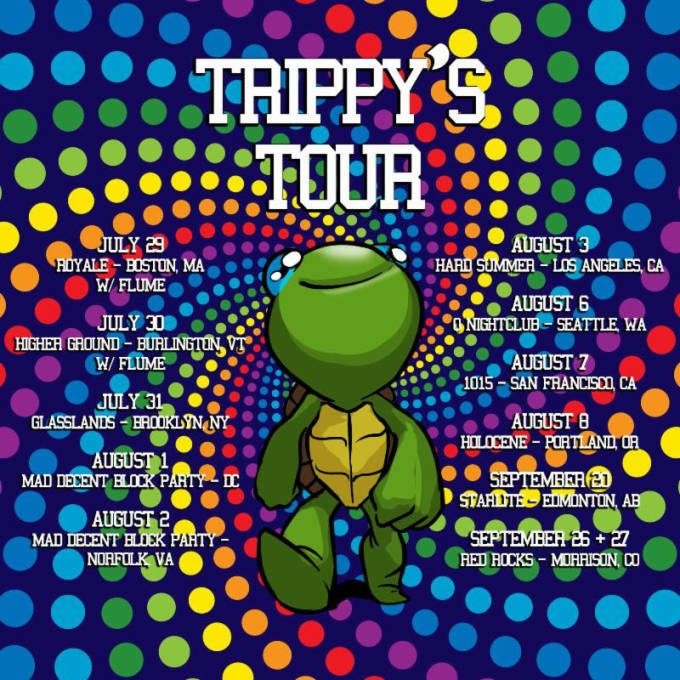 Kicking off in late July, "Trippy&apos;s Tour" takes the turtle throughout America, hitting a number of festivals (including the Mad Decent Block Party in DC & Virginia and HARD Summer), as well as some dates with Flume. And now we know why that remix of "Loyal" with DJ Sliink dropped.